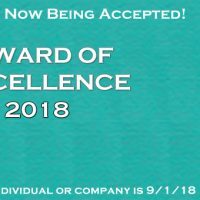 Now is your opportunity to nominate a person or company that has over the years made valuable contributions to promoting, developing, and maintaining the captive industry in the State of Hawaii. This award presented by the Hawaii Captive Insurance Council (HCIC) was created as a way to thank and honor those who by their dedication and commitment exemplify the “Mission” and “Vision” of our organization. Submit Nomination Today!